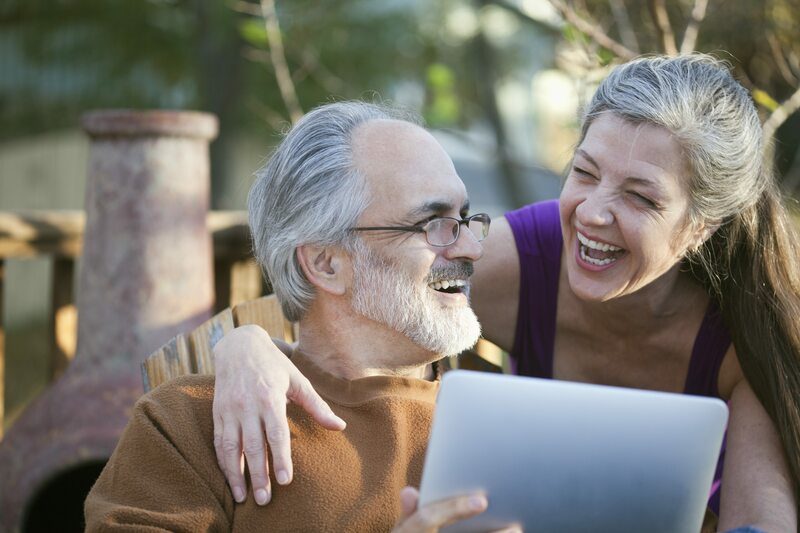 What’s Trending with Baby Boomer Homebuyers? Until the Millennials came into the world in huge numbers, the Baby Boomer generation dominated the U.S. population. The 76 million people born in the post-World War II era (1946-1964) have presented so many buyers that just about every market was influenced by their needs and shopping habits. As this group of people is either at or near retirement age, they’re still exerting their buying power. At Epcon Communities, we’ve been looking at what’s trending with Baby Boomer homebuyers for more than 30 years. And here’s what we’re seeing now. They’re more active than their parents were at this age. Today’s 55+ population has spent their lives juggling work and family. They represent the first soccer moms who also held full-time jobs. Don’t expect these busy people to pull up a chair and watch the sunset in their later years. They are truly “active adults” who want to enjoy their recreational choices (e.g., golf, tennis, hiking, biking, swimming, exercise, running, water sports, skiing). They want to live in places that make it convenient to keep moving. An active adult community with amenities like a swimming pool, fitness center, hiking trails, and close proximity to golf courses, parks, and other recreational facilities is more appealing than a home in a regular neighborhood. Baby Boomers haven’t given up on working. While their Silent Generation parents stopped working at the expected retirement age, we have a population that is healthier and more active. Baby Boomers will keep working past the age of 65, whether it’s part-time or full-time. They want a home that affords them a home office space—a dedicated room that provides privacy and lets them divide their work time from leisure pursuits. These homebuyers want to age in place. Today’s aging homebuyers are looking at their next home purchase as their last one. They have no plans to move to assisted living if they can avoid it. That means buying a home that features universal design, the “aging in place” concept that incorporates features to accommodate special needs. The 55+ population of homebuyers want single-level homes or, at the very least, a first-floor owner’s suite. The home building industry has responded and, according to the National Association of Home Builders, more than 40% of the homes built today feature a first-floor master suite, a significant jump from 15% just ten years earlier. These buyers seek wide doorways and halls in the event they need to navigate from a wheelchair. A walk-in shower and the absence of thresholds is essential for aging in place, too. Low-maintenance is a definite plus. No one wants to spend their free time mowing the lawn or painting the house, no matter what your age. Even though today’s seniors appear to have a bit more time, they don’t plan to spend it on tiring and dull chores. Finding a low-maintenance community that includes these types of services will appeal to a Baby Boomer homebuyer. Location is important—for different locations. We’ve all heard “Location, location, location” ad nauseum. The importance of location is still a priority among today’s aging population. However, they’re not interested in being in an excellent school district or close to nightlife. Instead, they want their next home to put them close to their family and friends. These homebuyers will make a move to live near their grown children and their grandchildren, while still maintaining their independent lifestyle. While many Baby Boomer homebuyers are ready to move closer to their family, their preference is to stay close to their current home. They don’t want to give up the relationships they’ve cultivated with local friends, doctors, services, and all the places they’ve come to love. Since 1986, Epcon Communities has been building new home communities that offer this type of high quality, low maintenance lifestyle. We’ve been helping Baby Boomers find the right-sized home for this new stage of their lives. We currently build in 19 states, so you can likely find a new home in an Epcon Community. Look at where we build, what we build, and why you belong here!